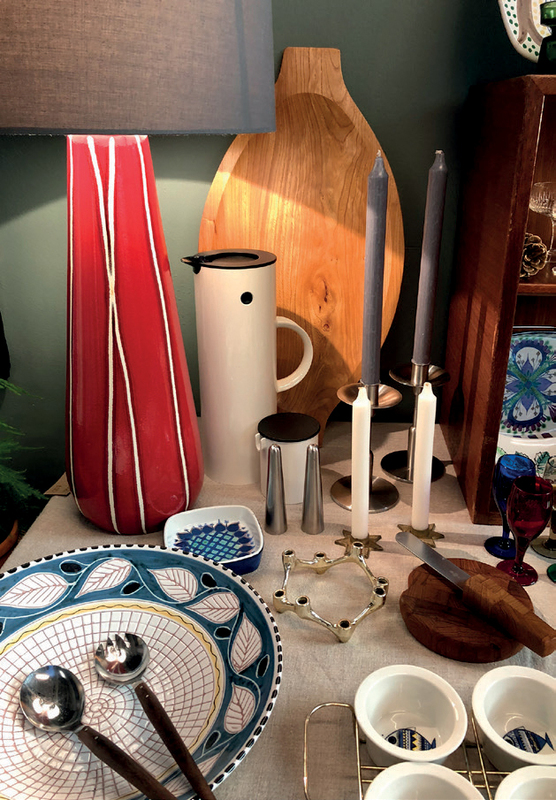 Liz Hasell of Early Bird Vintage specialises in furniture, ceramics, lighting, art, textiles, fashion and ceramics, with some of her stock shown here. She will be among the stallholders at the December 8 brocante at the Wanstead United Reformed Church, Nightingale Lane, London E11. She is a collector of vintage buttons and scarves who would dearly love to have a scarf room at her home and can’t bring herself to sell any of her large collection of buttons and buckles.